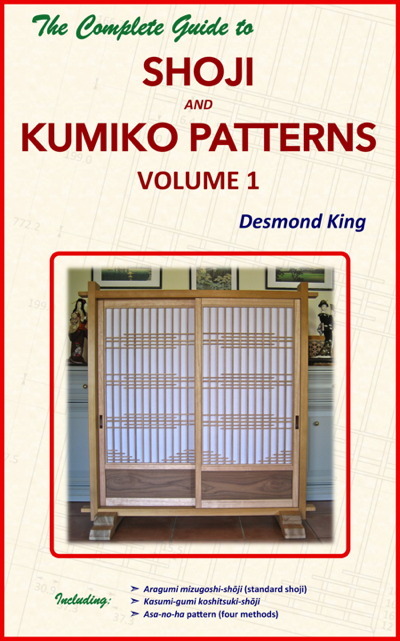 The first of the e-books on shoji and patterns is now up on Amazon (the “Look Inside” and other features will be added by Amazon over the next day or so). This one includes a brief background of shoji and the different types, and two of the three shoji that were in the paperback book. It also details the different ways of making the asa-no-ha. There are 185 line drawings and photos giving step-by-step instructions on making the shoji and asa-no-ha pattern. All for the price of US$6.99. I’ve had to split the book up because the file would have been far too big for people’s patience with the download if I’d included the entire paperback book in the e-book. 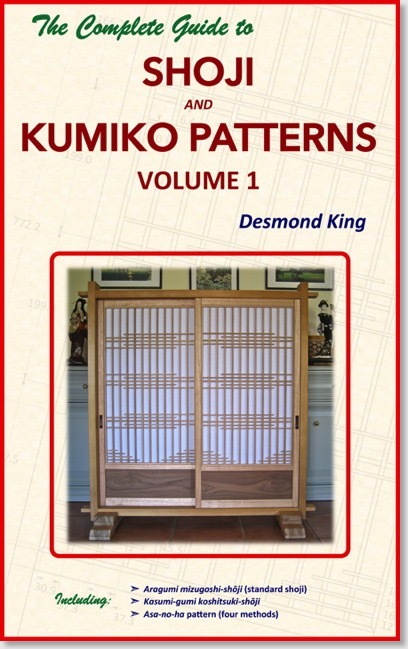 Also by keeping the number of shoji and especially the patterns down to a reasonable level in each e-book, I can get the patterns out and available more quickly, rather than waiting to build enough for a decent sized hard copy book. While my e-books have been formatted for Kindle and Amazon, it doesn’t mean that you need a Kindle device to read them. In fact, for books like this, the Kindle or other e-book reader is probably the last way you’d want to read them. Amazon have a range of applications you can download for free so you can read the e-books on your computer or iPad so the images are a bit more readable. The Amazon link is here. For people who have bought the book, higher resolution images for the shoji and kumiko pattern dimensions are available on my website for printing or downloading. So not having a Kindle is no excuse for not buying this book, charging out to the workshop and getting stuck into some kumiko patterns.